I’m that blogger who disappears for weeks at a time and turns up with a post and doesn’t even mention that it’s only my second one that month even though I used to post three times a week. I’m the one who goes from super philosophical to posting random junk about nothing and never even apologises for it (because that goes against my blog policy). This is one of those times when I turn up after a semi-hiatus of infrequent posts and try and explain exactly what I’ve been doing without looking like a lazy, unmotivated blogger who isn’t capable of maintaining the multiple sites she writes for. But you see, I’m not just a blogger. Despite my pretensions to maturity, I’m still at school. I recently took my AS Level exams (Advanced Subsidiary Level – standardised exams taken in the penultimate year of secondary school), and while they’ve been over for a month now and I can no longer use them as an excuse, I’m still studying, so I still have to do full school days and homework and stuff. On this note, I stupidly agreed to teach a lesson on the Celts in a couple of weeks’ time, so I need to prep for that. I’m also in the process of beginning to apply for university which is a) terrifying and b) effort- and time-consuming. Returning—Draft II. The third book in my ‘Death and Fairies’ trilogy, this second draft was thirty thousand words longer than the first, with significant plot and characterisation changes. I’m pretty sure it’s a lot better. Forget My Wings—Draft I. This sci-fi/fantasy Victorian-era novel was based on a concept from my first ever novel, and I greatly enjoyed writing it, if only for the look on Charley’s face when she read some of the more emotional scenes. The Quiet Ones—Draft II. An action-adventure novel about modern-day knights set at Aberdeen University, this second draft was also quite a lot different from its respective first draft, and I’m proud of it. The plot didn’t go entirely where I expected it to go, though … not helped by my characters unexpectedly getting together. Untitled prequel—draft I. This was written more for fun than with any intent to publish it. A prequel to my Death and Fairies trilogy, it involved the only scenes my character Alex has ever appeared genuinely happy. To prevent my mind from imploding, however, they didn’t last. Sorry, Alex. I’m currently working on a novel inspired by Norse mythology (but I’ve lost my ability to title so I’ll not go into too much detail here) which is turning out to be super long and will definitely drag over into July Camp NaNoWriMo. As a result of this ridiculous amount of writing (I’ve written over 480k in 2013 so far), my energy is kind of drained when it comes to blogging. I feel pretentious for calling myself a poet, but the truth is, I’m working on a poetry collection at the moment. I’ve written a lot of poems that I’m not including, which should tell you something about how much poetry I write. At the moment (as of today) I’m in the middle of writing a super long poem … that is, it’s six pages already, and unfinished. Most of my poems are shorter, but I’m becoming more and more comfortable with the medium as I continue. I’m taking my grade six ballet exam on Sunday, so I’m supposed to be practising for that. Not as much is happening as should be happening, due to all these other hats taking up my time! Connected to the dance thing, I’m also trying to get fit to help my hypermobility syndrome, as I was told that doing exercise was the only way to make it manageable and not painful, so I’m trying to make sure I keep moving. It’s hard, as I’m usually exhausted when I get home in the evenings … if I have any free time at all. I write as Iron Man for the wonderful YA fiction / publishing blog YAvengers. That means that any posts I write about writing or characters tend to go over there, rather than here, so that’s half my inspiration / blogging energy used up. On the bright side, I get to say “I am Iron Man” … on my CV. If that’s not a cool thing to put under ‘work experience’, I don’t know what is. Because of all of these, a few things are getting squeezed out: archery, for one, as I haven’t been able to go for some time now. This is partly due to illness and partly due to other commitments. And blogging. So while I might not be here as often for the next couple of weeks, I promise I’ll come back as soon as the super stresses of my present life are slightly relieved. I greatly appreciate the comments you leave me, and recently I’ve received two emails encouraging me and complimenting me on my posts—I can’t express how much that meant to me. What do Sherlock Holmes and Will Graham have in common? *I realise this makes absolutely no sense to people who don’t watch Hannibal but I promise you it’s hilarious if you do. Wow. That is an exceedingly busy existence you have there. That said, I hereby volunteer my services to all aspects I can – university and personal statemtents especially. Your mother may be an expert in that field, but I have been there very recently. And I edited the personal statements of most of my boarding house (of nearly 90 students) – if that doesn’t qualify me to help with editing the wretched thing, nothing does. Believe me, you’ll thank me around draft twelve. That said – those hats. 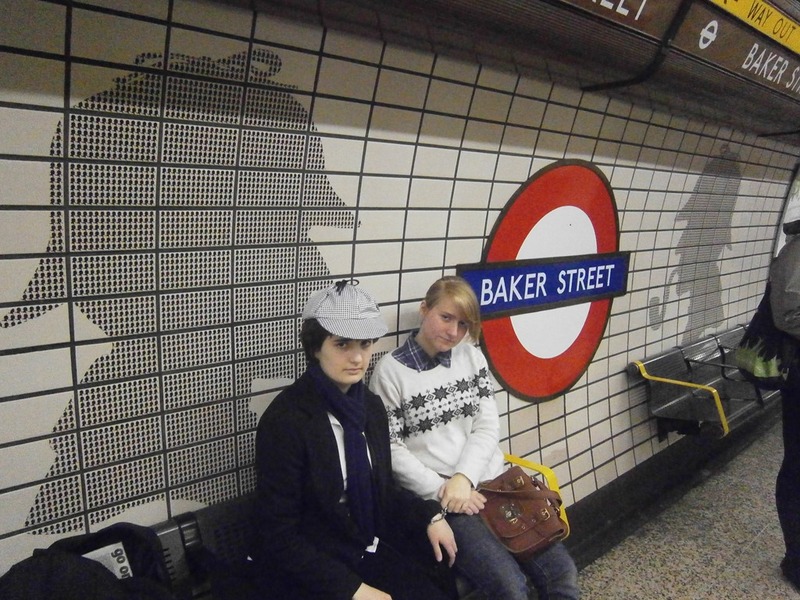 I envy them – well, some of them (I don’t look any good in a deerstalker, must confess). 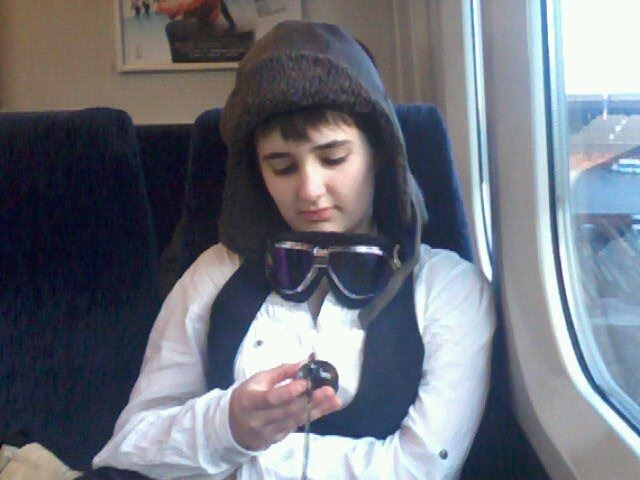 I don’t actually own many hats – kind of reflects my much more limited range of activities, I guess. Heh. Oh, and did that ear-hat ever return to you? Did that Oath of Miriam Joy that I wrote for you all that time ago frighten it back into your posession, or does it remain AWOL? Finally . . . still not over it. Never will be. 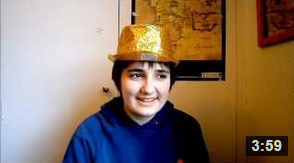 The hat was never returned and I still miss it greatly. Are you KIDDING? We have, like, 250 students just in year 12, and the same again in year 13! Jeez! You’ve got, like, a third of my school in one year alone! Your school must be miniscule O.o What sort of a school do you GO to? The upside is that, with fewer people to apply for places on the trip, I get to go to our sister school in Uganda in the summer. We have 500 or something in our sixth form! Whoa, 480K just this year?! Good job. 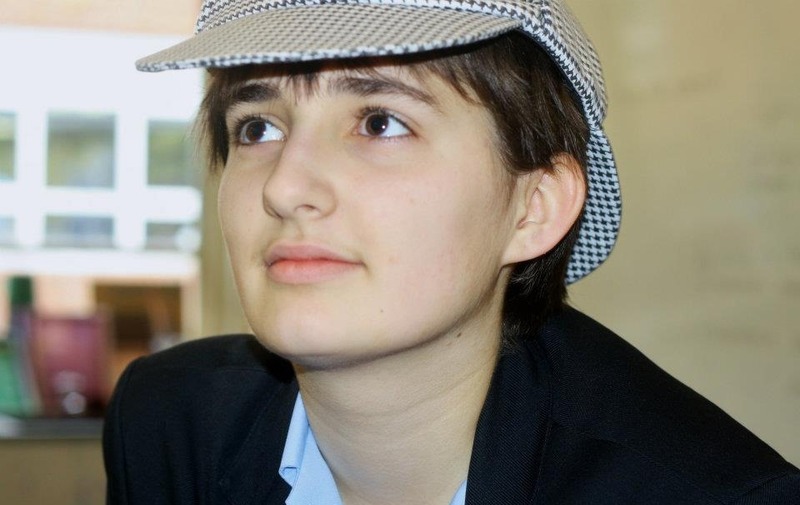 I have a hat that looks like Neville, the mascot of my blog. It’s purple with ears and eyes. Yes. If I continue at this rate, I’ll reach a million by the time the year’s out. I’m not sure that would be a good idea though. When I saw Iron Man, I thought for a second you were really Robert Downey Jr.
And yet, you still manage to create an engaging and awesome post. If I stopped blogging for a week, I’d revert to ‘can’t be bothered’ posts. Have fun with your university applications – seriously! Have you managed to narrow down your list of unis yet? It didn’t take much narrowing, as my course requirements are so specific / rare :) There are only five of them anyway, and they’re all slightly different from each other (boooo — makes personal statements an absolute nightmare) and only two of them are even in England. “Only two of them are even in England.” Hell, I knew there were so few (well, one, if you think of ASNaC), but I didn’t think you’d have to go further than England to find them. So, good unis? Those are my five. Two in Scotland (four year course as standard), one in Wales (four year course because of language elements and year abroad), and two in England. :) Mother hopes I will get into Cambridge because she doesn’t fancy driving to, say, Aberdeen or Aberystwyth. Congrats on all of your manuscripts! I’m always so proud when I’ve edited, and I know the whole thing is so much better than it was before. It sounds like you’ve got some pretty cool stuff going on. SOOOO MANY NOVELS! I look forward to actually finding time to write more drafts of them … when I’ve finished the first drafts I’m planning at the moment. That is the best Hannibal joke I’ve ever read. I laughed for absolutely ages when I heard it. I just couldn’t stop.